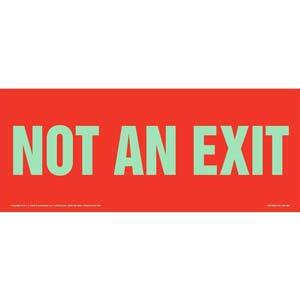 Glow-in-the-dark sign with red text indicates exit to the left. 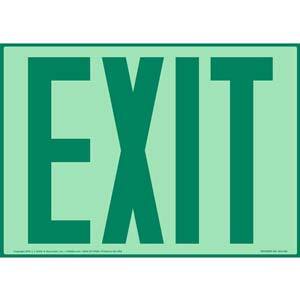 Glow-in-the-dark sign indicates an exit to the right. 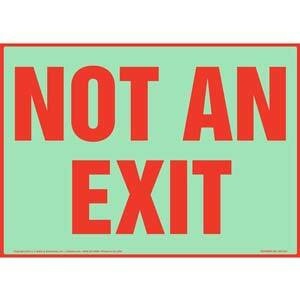 Glow-in-the-dark sign clearly indicates the location of an exit. 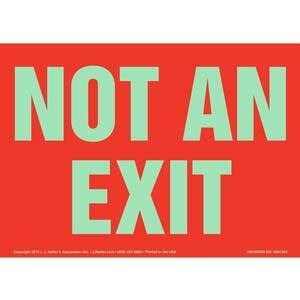 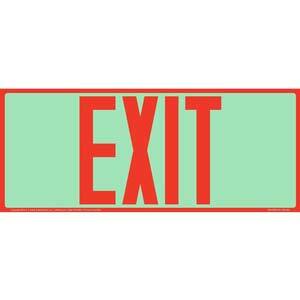 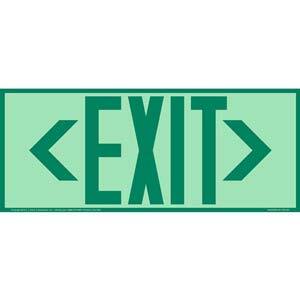 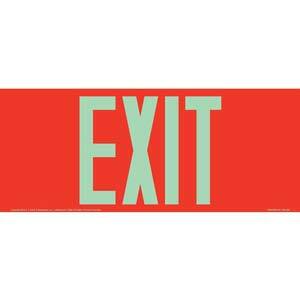 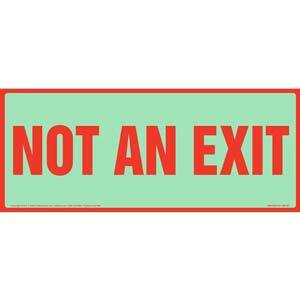 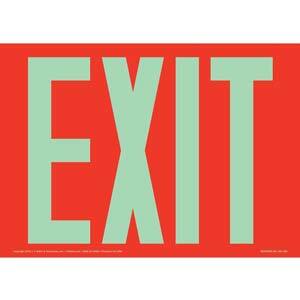 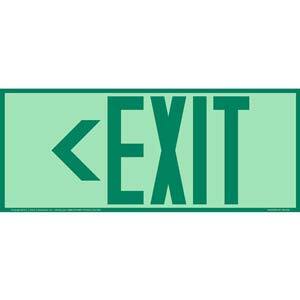 Glow-in-the-dark signs clearly indicate individuals may not exit at a designated point. 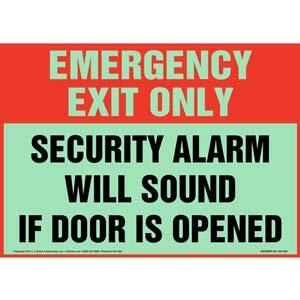 Glow-in-the-dark sign warns individuals an alarm will sound if emergency exit door is opened. 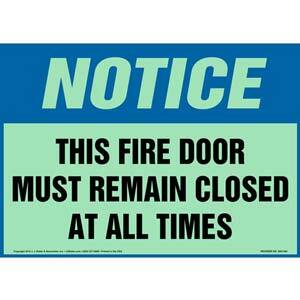 Glow-in-the-dark signs warn individuals that fire door must always stay shut. 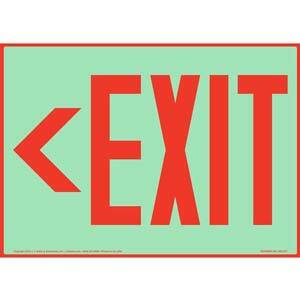 Glow-in-the-dark sign indicates an exit to the left or right. 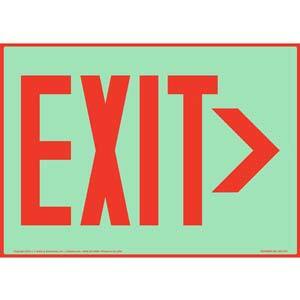 Glow-in-the-dark sign indicates an exit to the left.